A new computer lab for children in Abaco, courtesy of TIG Foundation! 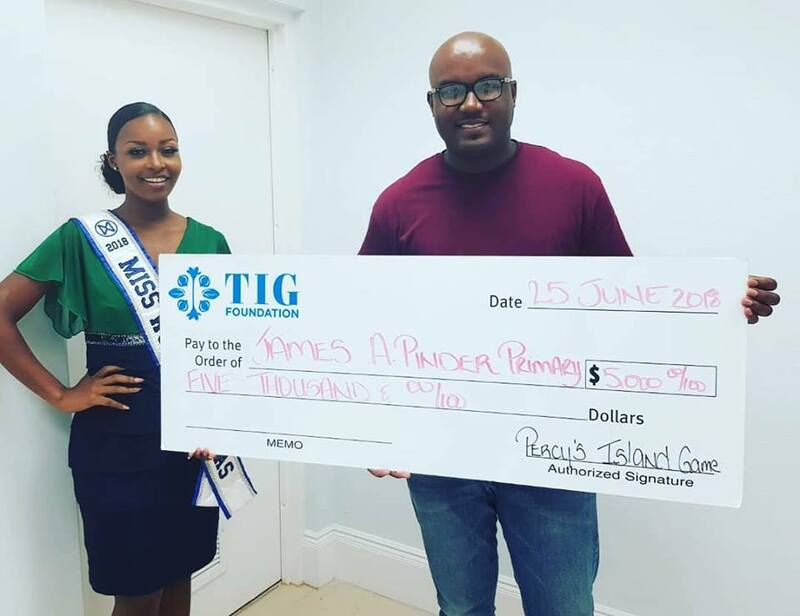 Miss World Bahamas Brinique Gibson presented a check in the amount of $5,000 to Principal of the James A. Pinder Primary School in Sandypoint, Abaco, Mr Paul Knowles, on behalf of TIG foundation. The monies will be used to assist in outfitting the school's new lab.